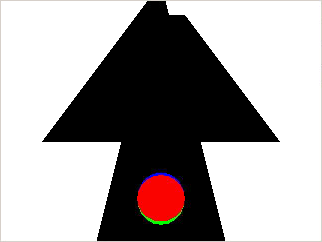 A simple 3-D game based on Babal for HP48 by U-Foot. Project status: no longer under development, but still playable and fun. Babal is a simple 3-D game based on Babal for HP48 by U-Foot, which was my favorite HP48 game. You can play it in your browser window, or stand-alone. I created this to learn a bit about OpenGL and to experiment with writing a game using a scripting language (Python), and experiment with Jython for creating Java programs. See README.txt for instructions and copyright. See COPYING.txt for the license. See CHANGELOG.txt for the log of changes. If you're running Windows, download, unzip, and run the Windows executable. Download and install the Java Plug-in from Sun. Other platforms can download the source code and run it using Python.